As the mom and keeper of this house, I see all the holes, gaps, and missing buttons that occur in the clothing of my family. I've encouraged all the members of my family to be pro-active and self-sufficient, and take on the repairs themselves, including my husband and son. Of course, I'm here to help and, in a pinch, take care of a mend for them. What are moms/wives for, right? Don't wait until the button has fallen off completely. 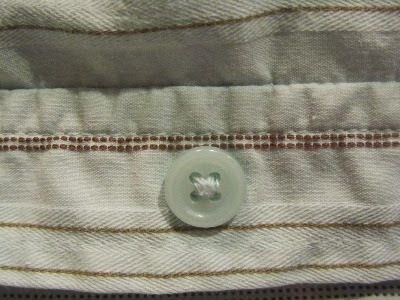 Secure it with new thread when the button becomes loose -- less chance of losing that button. (Have you noticed, buttons never fall off while you're watching.) Just stitch right over the old thread. Match the color of the thread to the color of the thread on the rest of the buttons, and follow the pattern of the stitches on the other buttons. Some buttons have just 2 holes. 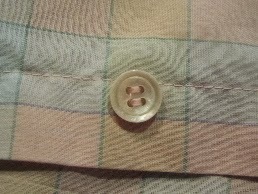 But you'll notice if your buttons have 4 holes, there will be a "pattern" to the stitches. Make diagonal stitches or parallel stitches to match those on the other buttons. If you do lose that button, you can often "steal" one from an unnoticeable place on the garment, such as the tail of a dress shirt that will be tucked in. Even if this isn't possible, it would still be more cost-effective to buy a package of buttons at the fabric store ($5), and replace all of the buttons, so that they match, than to discard the garment and replace with a new item. 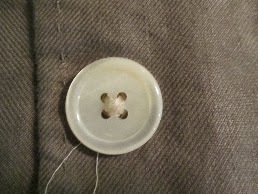 The top-stitching on manufactured garments is often loosely tied off. 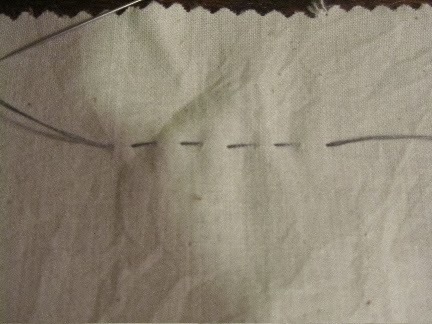 One pull of the thread and your entire top-stitched edge is gone. Again, catching this early is the difference between a quick hand-stitch to secure the loose threads, or getting out the machine to re-do a length of stitching. Either way, one quick repair and you've restored your garment to it's original look. If you match your "new" thread to the existing thread, the repair will be undetectable. the fabric in a line. This can be done by hand or machine. 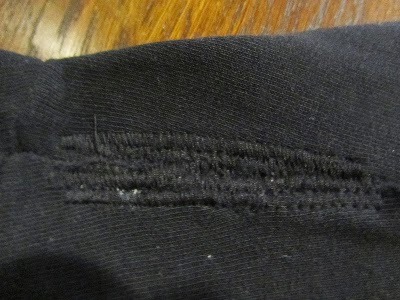 By hand, a running stitch over the original line of the seam will repair the tear. By machine, depending on the fabric and color, you can often get by with not matching the thread color, and just use whatever is currently threaded in your machine. A mended tear in the seam should be stitched on the inside, and it will be completely unnoticeable from the outside. Men's slacks often come unhemmed. Not a problem in a high-end store, as they throw the hemming into the (high) price of the slacks. On the second-hand market, however, finding unhemmed men's slacks can be a steal, as many men prefer NOT to try to hem them. Women's slacks come in one or two lengths, generally speaking, regular Ladies, and Petite Ladies (there are also specifically Tall Women's shops with longer lengths). If your legs aren't exactly the 5'7" height standard, or the exact length of the 5'3" petite standard, then you'll be either dragging your hems, wearing high-waters or needing to do some hemming. Doing your own hem, will save $20 off of having them tailored professionally. Hems look best if you can sew a neat whip-stitch, matching the thread color to the fabric, and catching only a thread or two of the outside of the fabric. Try your pants on, have someone mark the hem-line with straight pins. Pin the entire hem. Try them on again to be sure of the length. Press and hand-stitch. 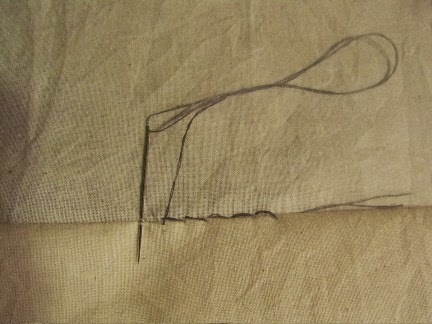 The inner seam is a good place to begin your hem, as you can secure your knotted-thread, well, in this spot, without it being noticed from the outside. It sounds much more complicated than it truly is, and should take no more than 1 hour. That's a cool $20 an hour you just made. 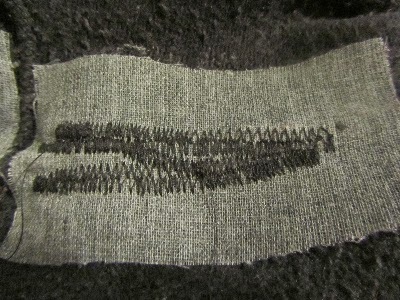 A tiny pin hole in a knit can be sewn closed by pulling the edges together and putting 5 or 6 quick whip-stitches into place. Examples are the tips of mittens, the toes of socks, the toe end of sweater tights, a pin hole in a sweatshirt or sweatpants, a pin hole in a t-shirt or thin cotton turtleneck. These can be wear holes, or simply something sharp caught on the fabric, or was stuck in the fabric (decorative pins, for example). Use matching colored thread. Turn the garment inside out, and whip-stitch closed. 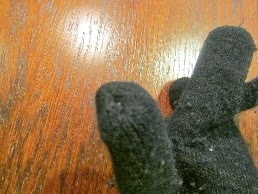 I can get a few more winters of wear from my mittens by stitching the pin holes closed in my mittens each year. Wear holes can be tiny pin holes, or large gaping affairs. Often times, these holes are in inconspicuous spots once repaired (such as the inner thigh area of stretch pants). Wear holes can be easily patched with iron-on patching material, followed up by machine zigzag stitching in a color matching the clothing color. I use patches that I make with Heavy Duty Wonder Under (a strong fusible web -- iron-on, heat-set "glue") and scrap fabric, in a color that matches the original fabric. This is so common in kids pants that every mother will encounter holey knees several times in her child's growth. With my kids, the first holes appeared long before the rest of the jeans looked worn. It's all that time spent playing on hands and knees, I guess. You can buy heavy duty, iron-on denim patches to cover the holes, or sew on a large piece of denim over the knee with the hole. You can even find fun patches in a design your child would like, if you want to forgo that industrial-strength, denim iron-on look. When iron-on patches come loose around the edges, re-iron. 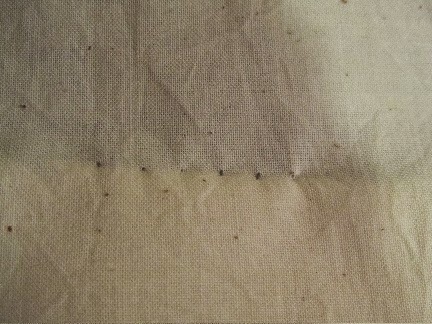 When the heat-set adhesive wears out, you can use a hot glue gun to re-adhere the patch. 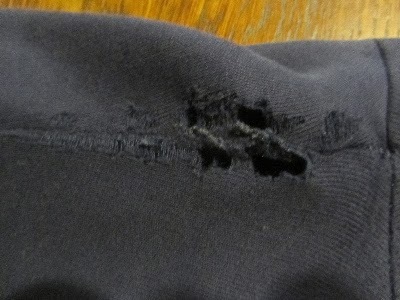 If a person can perform these basic mending tasks, they will easily save $100 or more per year. Replacing garments that have minor problems is costly. Holey-kneed kid jeans -- $20 to replace, $2 to patch (if buying a ready-made iron-on). Tailor-hemmed dress slacks -- $20 to have a pro do it, under a $1 (for thread and needle) if you do it yourself. Casual pants with pin holes (which soon become gaping holes) -- replace for $15 to $20, or patch and stitch for under $1. Small hole in the fingertip of your mittens? Replace the mittens for a couple of dollars, or whip-stitch that hole closed from the inside, for nothing but 5 minutes of your time. New sweater-tights in season will run about $16. Less than 5 minutes to stitch a hole in the toe closed is practically free (you do need needle and thread). Top-stitching missing on the edge of a shirt or dress? Replace for $15 to $50 (or more), or re-stitch for under $1 (cost of thread). Missing button on your dress shirt or coat? If you don't want side-glances from your boss, replacing the entire garment is a costly extravagance, compared to just getting out a needle and thread and sewing on a new button. In all cases, catching the hole/loose thread while small will greatly reduce your work, and in some cases, save the garment altogether. 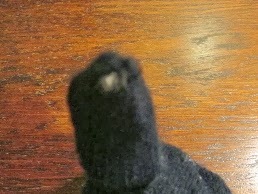 A small hole in my daughter's favorite sweater tights could have become an all-out foot opening in a couple of wears. But instead, I was able to sew it shut, in under 5 minutes, while she pulled on her skirt and top. There's a reason that in olden times, women sorted through the clean laundry and pulled out items needing to be repaired right away. They were maintaining the garments that they worked so hard to produce, by catching problems when small. There are more involved mending tasks that can extend the wear of your clothing. But these 7 are the basics that everyone should learn to perform. And in my book, basic mending is not just for frugal folks, it's for anyone with an ounce of sense. It's staggering how much you can save by mending clothing, isn't it?! In one fell swoop you saved yourself $50. Imagine how much you save in a year! Great job! 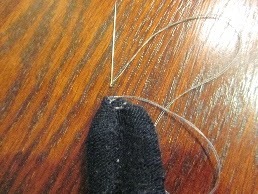 Yesterday evening, I had my box of thread out, and began in on the pile of mittens with holes in the fingertips. I didn't buy mittens this year, and am mending all of ours, instead. Wow I had no idea you could save so much money doing this stuff. I have to admit, I haven't done much clothing mending. But I did iron on some patches to the knees of my twins play jeans this fall. It's a start. Kudos to you for making a start! If you patched two pairs of kid jeans then you saved yourself $30 or more on replacing them. Good work! The mending pile hadn't been looked at around here for a while, so I did mending and gave it to people for Christmas. I know that sounds like a horrible present to some, but I considered it a gift of my time. And everyone was happy. In some cases, they didn't even remember the clothing involved so it was like getting something new. That doesn't sound like a horrible present at all! A gift of your time is at least as valuable as other gifts. My husband gave me a "coupon" for a complete kitchen cleaning. That, too, is a gift of his time. Now that my kids are older, they seem to appreciate me doing something like mending a hole in tights, or mittens, or sewing a button onto a coat. And I'm sure your family appreciated your mending, too! It is like getting something new. I patched my 2 favorite prs of black everyday pants earlier this week, and now feel like I have much more to choose from, even if just for housework. Believe it or not, my husband is the one who does the mending in our family. His mother was a seamstress, doing costuming for ice shows, when he was a boy and he just seemed to learn the trade. He has saved us a bundle just in hemming my work slacks, repairing ripped seams, and after our baby was born, he let out my pre-pregnancy office clothing when I went back to work. I think we've saved several hundred dollars with his tailoring skills. Oh do you ever have a keeper!! Your savings may be in the thousands. The cost of tailored alterations to let out slacks, blazers and skirts mounts quickly. If your husband did your entire work wardrobe that saved mega bucks! Tell him great job! Totally agree about how much money mending saves! There are a lot of quick and easy things you can do to extend the life of clothes...even just simple button-sewing (or replacing!). Your button replacement was a great save for your jeans! Maybe it took a bit of time researching how to replace it and where to find jeans buttons. But now, when (it's not an "if' with a family of 6, for you) this happens again, you'll be able to quickly fix up another pair of jeans. I love it when I learn a new trick and can use that info again! As you can tell, I live in a small town. We have very few shopping options close by. Mending clothing is practically a necessity for us. I know, I could order more clothing online, but I like to try it on first. With some items, it has become almost a challenge, to see how long I can make it last. I have a question. Do you know how to fix a zipper that keeps separating? As a matter of fact, I've had to deal with separating zippers on a trapper-style notebook and a backpack, for the last several years. There's a fix for it. You'll need pliers. Get the zipper lined back up, and at the bottom of the track. From the back side of the zipper pull, place the pliers on the base of the pull. Now clamp down hard, on both sides of the moving piece on the pull. Do this a couple of times. And press down as hard as you can. Now try the zipper again. There are a couple of youtubes on doing this, if I haven't made instructions clear. It works and keeps the zipper operating for a couple of months of use, then has to be redone. Eventually it won't hold as long, and you need to looks at the possibility of replacing the item, or the zipper. Good luck with this! I was thrilled to be able to make my daughter's notebook and backpack last all through 4 years of high school. You know that I hate mending but I still do it, anyway, for the reasons you have mentioned. My husband, bless his heart, sews on my son's Boy Scout patches on his shirt since he knows it's a job I despise (he's terrible at it, but at least I don't have to do it!). 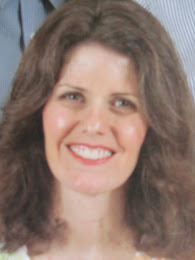 I have found, over time, which brands are better made in kid's clothing and which to avoid (I've gotten good deals on coats at The Children's Place for my daughter in the off-season but the coats have always developed tears in the sleeves, so I won't buy them there anymore--meanwhile, Penney's coats always hold up well). It's frustrating to me when kid's clothing isn't sturdy--kids are supposed to play, not pose for fashion magazines, and sturdy clothing is a must! What a loving husband, to do the very task that you despise doing. And it serves as a good example for both your kids, that dads can do these sort of jobs, too. It doesn't matter if the finished job doesn't look great, it's just a scout uniform. You're right, kids clothing should be super durable. They are far rougher on clothes, and basically need "work" clothes. That would really bother me if jackets developed tears. And good to know about Penneys quality. I don't buy from The Children's Place anymore for the same reason. What I really like (and has lasted) is clothing from French Toast. I second the recommendation for French Toast. French Toast is well-known as a uniform manufacturer in our area. And it receives very good reviews from families who buy these pieces. I see them second hand in thrift stores regularly, and they look to be durable enough to hold up well, with multiple owners. The company takes pride in being budget-friendly and durable. 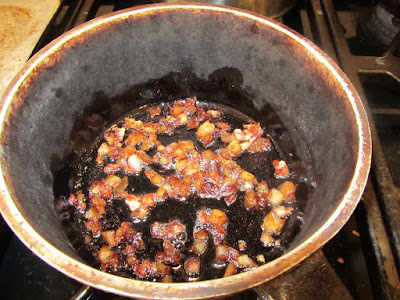 My kids had a couple of pieces of French Toast when they were younger. They were basic items, were worn a lot, and held up to a several years of wear (my kids grew slowly). And those bigger repairs can feel daunting! I almost didn't try to repair one of my pairs of pants, as the holes were bigger. But I'm glad that I did, now. Good luck with getting the towel repaired. I need to do that with a couple of washcloths. They become frayed around the edges, and then it's not long before they end up as rags. Great blog post. I find mending stuff very satisfying. At 5'2" I've done an awful lot of shortening trousers over the years and if there's one thing I've learnt it's not to rush it. The other thing is that there are some great Youtube videos out there which have really enhanced my repair skills. I discovered how to tighten a zipper pull, so the teeth stop separating, through a youtube video. Totally agree -- youtube is a fantastic resource for seeing how something is done. I bet you've done a lot of hemming of slacks! I'm not much taller than you, and the only slacks I don't have to hem are ones that I can specify the length of inseam (one catalog that I order through). I do wish that women's slacks were sized as men's are, by waist and length.